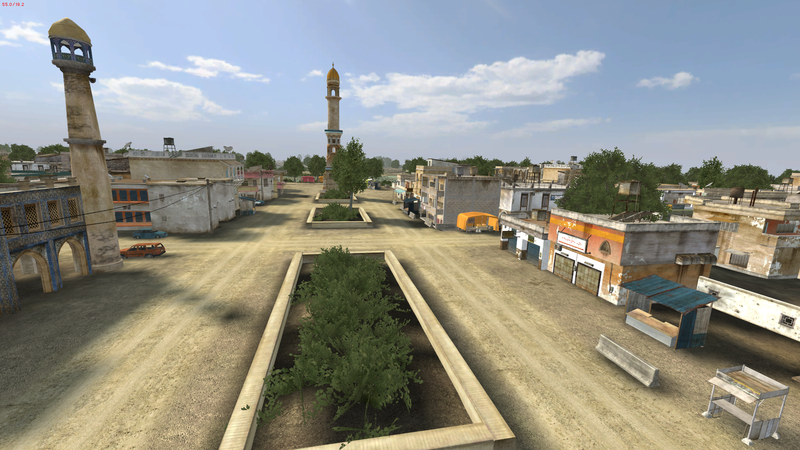 Silly IRL fact: The Town Centre has been occupied by the Taliban since Summer 2015. 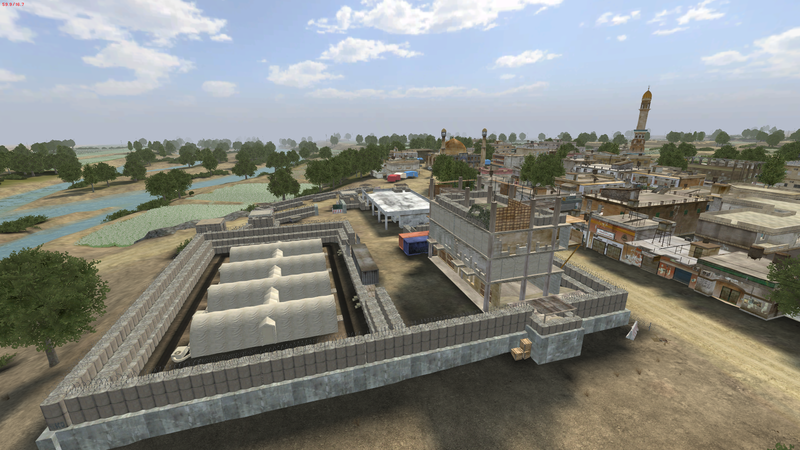 Since the play test last year the Town has also been revamped. 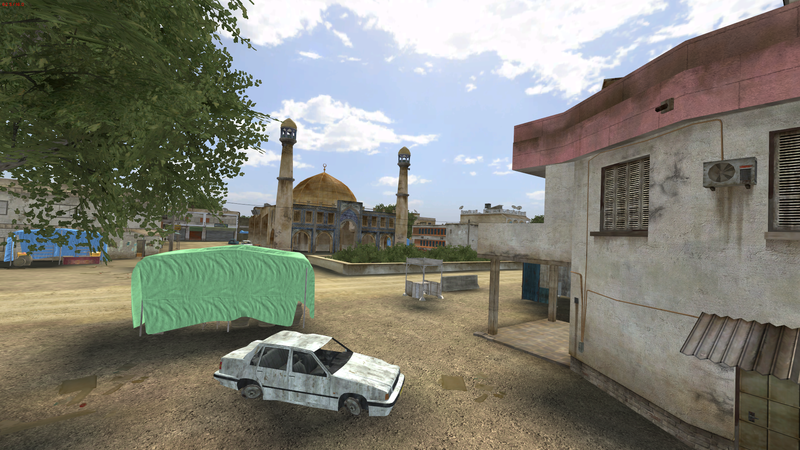 Note that the map is still in heavy development, and that the lightmaps (shadows) haven't been generated yet. 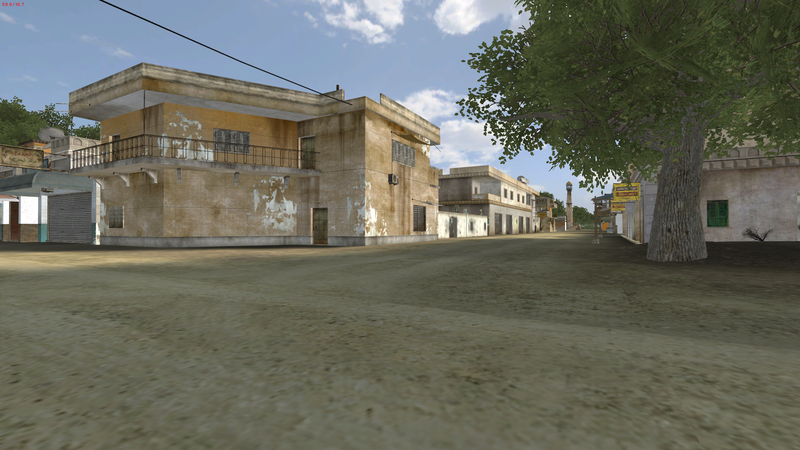 As such, the buildings here appear brighter than they will when the map is finished. 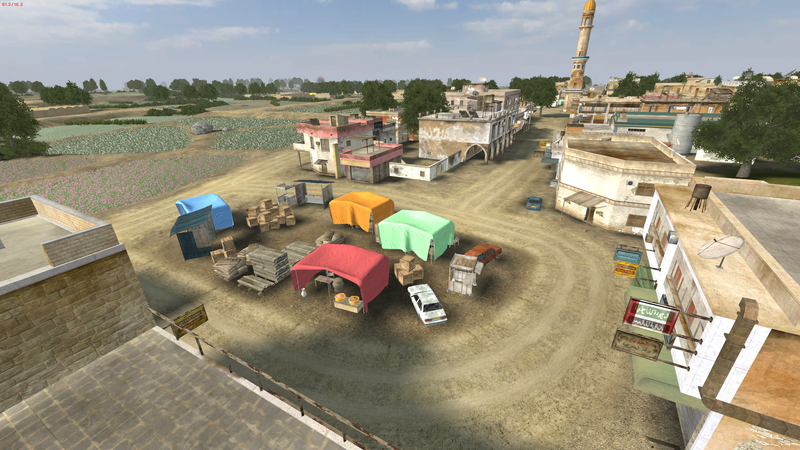 As can be seen above, the main feature of the Town Centre rework is the new Patrol Base in the West. 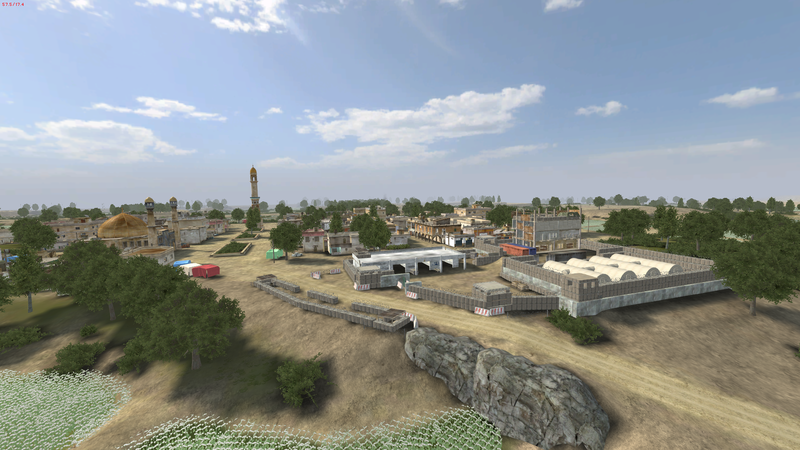 The construction building in this Patrol Base has been given the code name of "White House" by ISAF tropps. This should not be confused with "FOB White House" in the Kajaki District, one of many neighbouring districts of Musa Qala District. The White House is the tallest building in the Town Centre and the perfect place to watch the surrounding of the town. 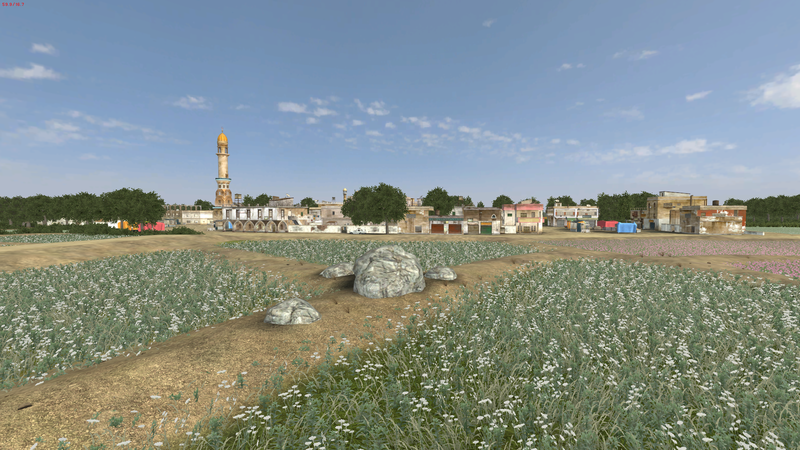 Some new Buildings introduced in v1.4.0 have also been added, seen in the last screenshot. This remind me of many Squad maps! I remember having a lot of fun on the playtest of this. Looking forward to it. I've played map test. 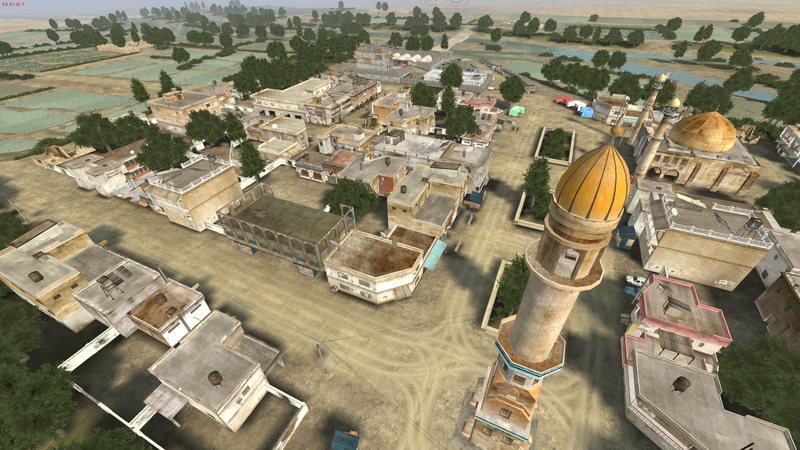 Really liked the town with enterable mosque, hesco on roof of tall building and Tshape. I remember that there was two-story building on east side with undergrounds. There was plenty of good buildings to cover approach to the city. But new one looks interesting, especially the patrol base. I can see many oportunities for infantry engagements with a lot of cover. Any chance on another map test ? 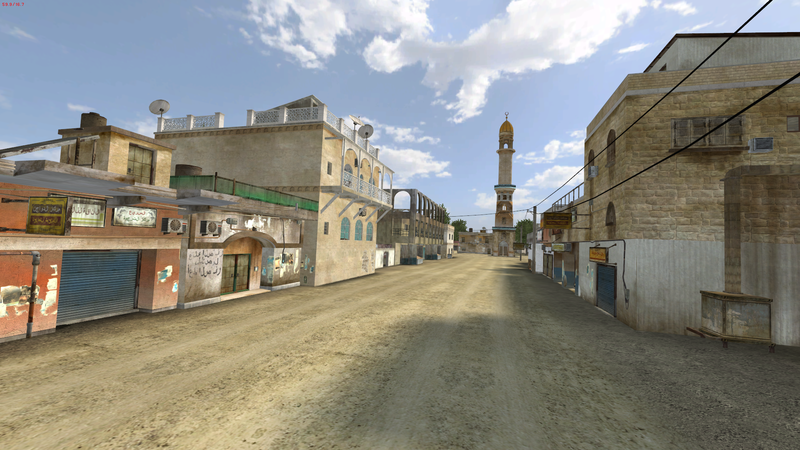 Aw , I liked having high buildings in an insurgency map for once. Love the detail that went into this, it's clear that this section of the map was well thought out. 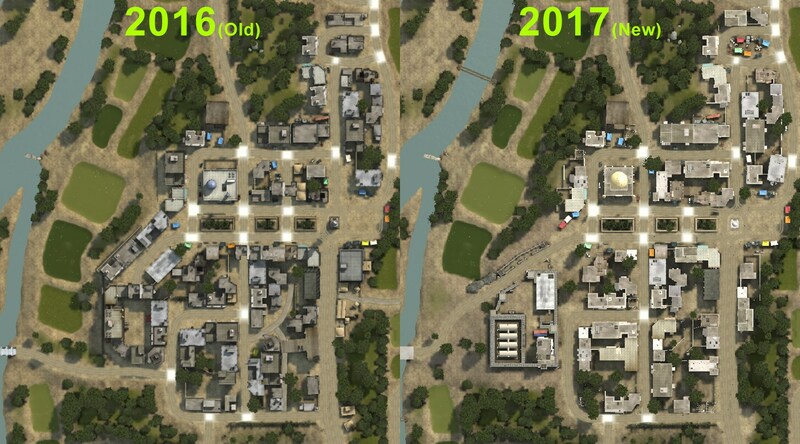 Should make for an exciting map when it eventually comes out. Great job, this is the type of thing PR needs! thank you!